The Trust Fona Counter-Strike tournament brings together most of the Top CS:GO Teams in the world. 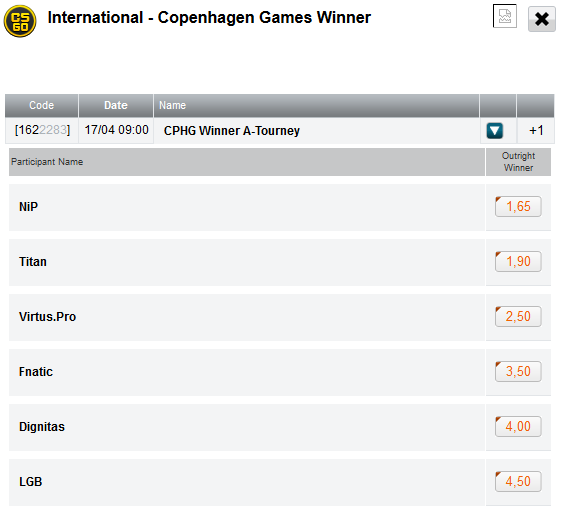 As the name of the tournament implies the action takes places in the beautiful city of Copenhagen, Denmark. The CS:GO matches are starting on Thursday April 17th at aprox. 14:00 CET and the finals will be played on Saturday April 19th at around 19:00 CET. The teams are fighting over a total prize money of € 26,000. Other tournaments at the Copenhagen Games 2014 are: Komplett League of Legends tournament, Logitech G – CS: GO Ladies, Fona Fifa Xbox and the Cooler Master StarCraft II. CS:GO betting Site eSportsventure already announced that they will offer lines for the matches after the initial group stage at the Trust Fona tournament during the Copenhagen Games. Moreover they will offer special bets on the first frag. Learn more here.